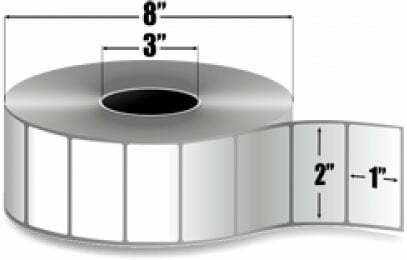 AirTrack Label - 2" x 1" Thermal transfer polyester label. 1 label across. 5,500 labels/roll. 4 roll case. The AirTrack 10008512-COMPATIBLE is also known as Air Track	10008512-COMPATIBLE	or 10008512COMPATIBLE	.